This post originally appeared on the MandMGlobal website on November 5, 2015 – authored by Anna Dobbie. 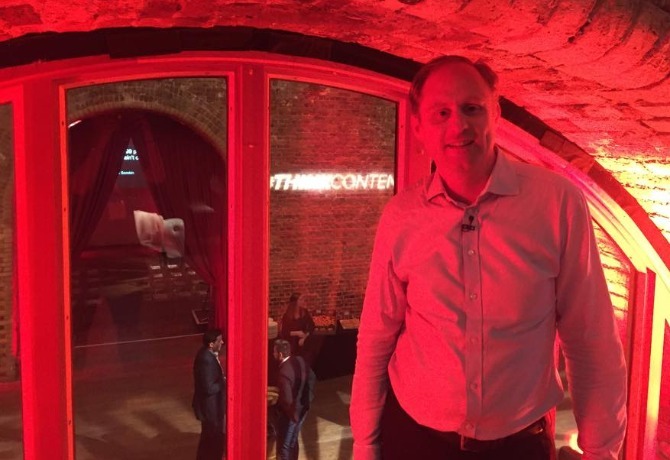 Former IBM Social Consulting global managing partner Andrew Grill gave a talk at NewsCred’s #ThinkContent event last week, addressing the power within an organisation through thought leadership. Grill is focussed on the utilising the power of advocates within organisations. “In your organisation, no matter what size it is, you’re going to have people who are absolute experts on various things,” he says. “Why don’t you get them to have their voice? Maybe someone who doesn’t write for a living but really knows their stuff about a particular topic and you never thought that they could be the best source of information for a particular topic but they get excited because they’ve then got a voice. Great content, according to Grill, is content we’re sharing. “If I share something I’ve read, I’ll go ‘oh that’s fantastic’, I want other people to know about it’ and that’s for a couple of reasons,” he says. He also stresses the importance of measuring how content is resonating with its audience. “I’ve been blogging since 2000. I measure everything, so I do one blog post, I look at my stats on the website, that rated really well whereas another post didn’t rate so well,” he says. Grill believes that Red Bull is a good content creator: “I think they are content factories because they’ve got such great experiences, whether it be their air shows they do or the bike race. For Grill, ‘content nirvana’ is “content I’ve never seen before”. “It’s something I’m really interested and engaged in, it’s easy to share so it’s not a four thousand word essay that people aren’t going to digest, it’s something that makes me smile, something that educates me or teaches me something I didn’t know before,” he says. “Native content, branded content – it’s all advertising,” Grill continues. “There’s nothing wrong with advertising, I’ve done very well out of it over the years working in advertising, but when you realise it’s just an ad, I think there’s a very fine line between content that is useful and content that is screaming by me. Having worked at influencer marketing company Kred, Grill felt that pro bloggers made it hard to discern what content is paid for and what’s real. Grill feels that agencies are semi publishers in the way they are curating content. “They have to be careful that they don’t write copy and try to pass it off as native but I would like to see agencies actually go and source great influencers, great thought leaders and have them have a voice with the brand because the brand will then learn from their consumers. Looking to the future, Grill says brands are catching up. “Brands are thinking ‘Oh if we created content, we wouldn’t have to do so many ads and so let’s cut our TV commercial and just put it on Twitter’ and that’s not really doing it properly,” he says. “I think where content will evolve, you’ll have third-party content, you’ll have content written by consumers, there’s nothing more flattering than a brand going to a blogger and saying ‘we would love you to do a guest post’.